The much anticipated battle between Izuku and Shoto begins in episode 10 of Boku no Hero Academia. Titled, Shoto Todoroki: Origin, this episode was wall to wall action and the animation was spectacular. 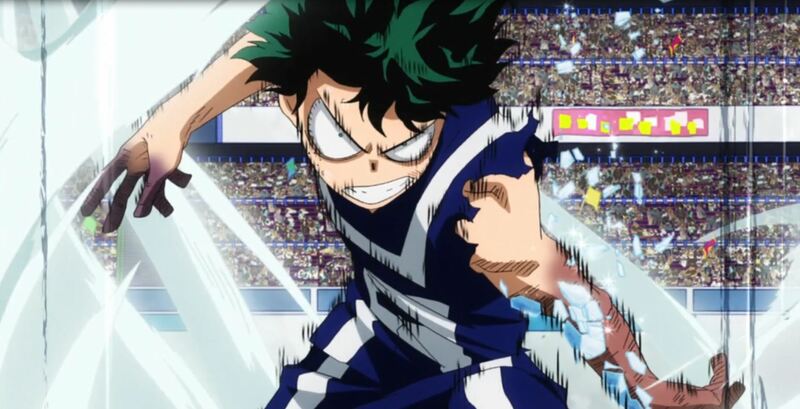 Shoto quickly attacks Izuku with his Half-Cold, Half-Hot quirk, creating pillars of ice, Izuku counters with One for All, using his middle finger. He creates a powerful gust of wind, destroying the ice and breaking his middle finger. They repeat this pattern several times, then Shoto uses his ice to get closer to Izuku. Engaging in close combat, Shoto gains the upper hand, trapping the foot of Izuku. 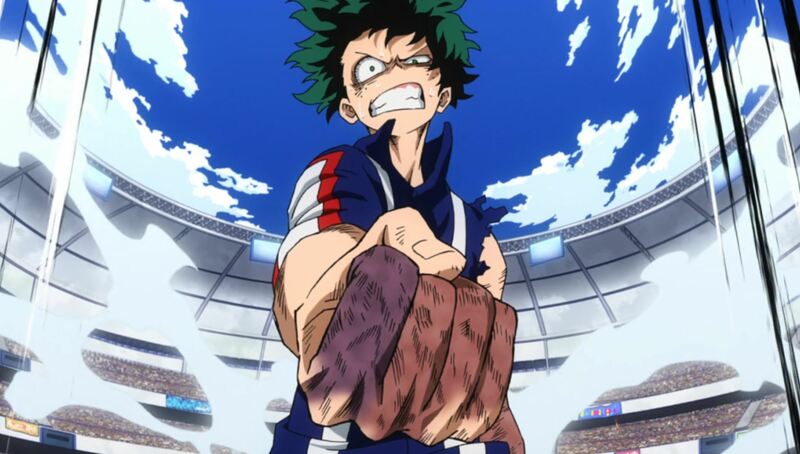 Left with no choice, Izuku uses his quirk with his entire fist, knocking Shoto backwards. Shoto attacks again, but Izuku destroys the ice once again. He then criticizes Izuku for using only half his powers. 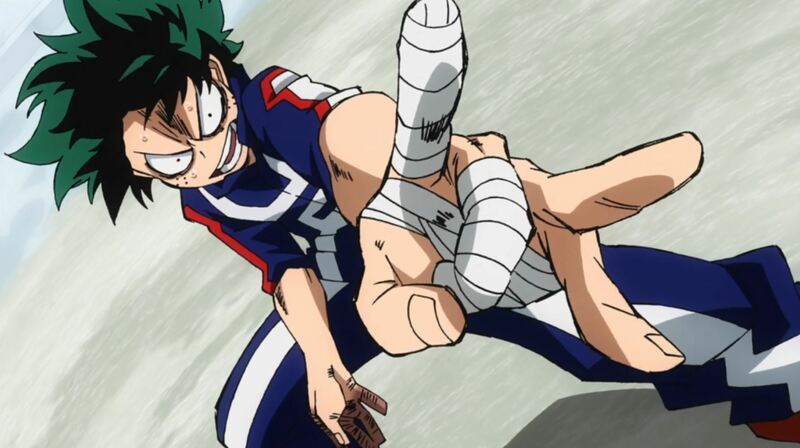 Enraged, Shoto runs toward Izuku, but the negative effects of his quirk has caused his body some frostbite. He’s slower and Izuku manages to hit him directly in the stomach. 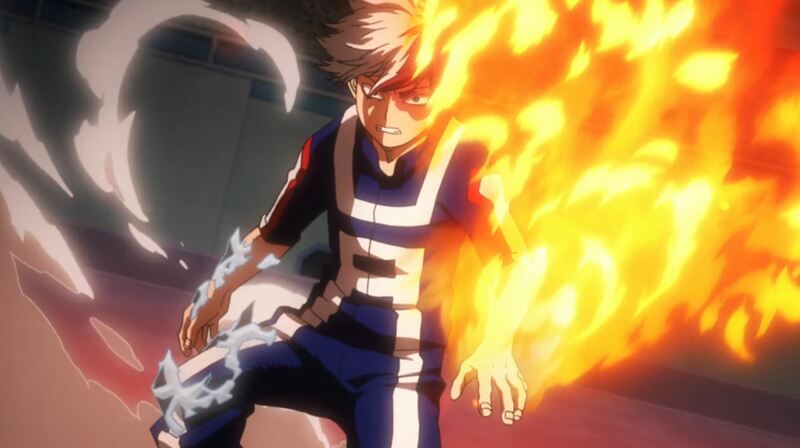 Izuku continues to challenge Shoto’s resistance to using his fire ability. Shoto flashes back to his traumatic childhood. He recalls being abused and isolated from his siblings and how he came to hate his father. Izuku tells Shoto that, “his fire power belongs to him and only him.” Shoto finally activates his fire powers, his father Endeavor is delighted, both Shoto and Izuku gear up for their clash. Shoto uses a massive wave of ice, while Izuku use his quirk on his leg. Cementoss attempts to intervene to protect them from their attacks. Shoto shots his fire and Izuku causes a powerful shock-wave. As the smoke clears, Izuku has been knocked out of bound, giving Shoto the win. It’s easy to see Izuku and Shoto as enemies (Shoto even states that they are), but they’re not. Considering that both are hoping to become heroes, they are one the same side. In this context, Izuku helping and then losing to Shoto will ultimately be to the benefit of the greater good. 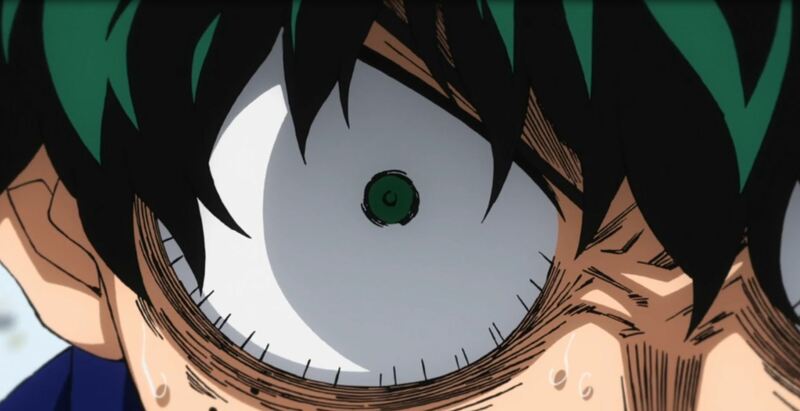 We also are explicitly told that all quirks come with downsides, we can clearly notice Izuku’s quirks downside, but sometimes we don’t see the other quirk consequences. Overall, this episode was amazing and worth watching. Agree, this was a totally amazing fight and well worth watching.